After our road trip through Moravia we got to the conclusion that the Czech Republic has the most fabulous castles in Eastern Europe! Royal castles, majestic noble homes, seats of bishops and knights – they all have their own atmosphere and stories and they all amazed us inside and out. And Bouzov Castle is one of the most unique ones. 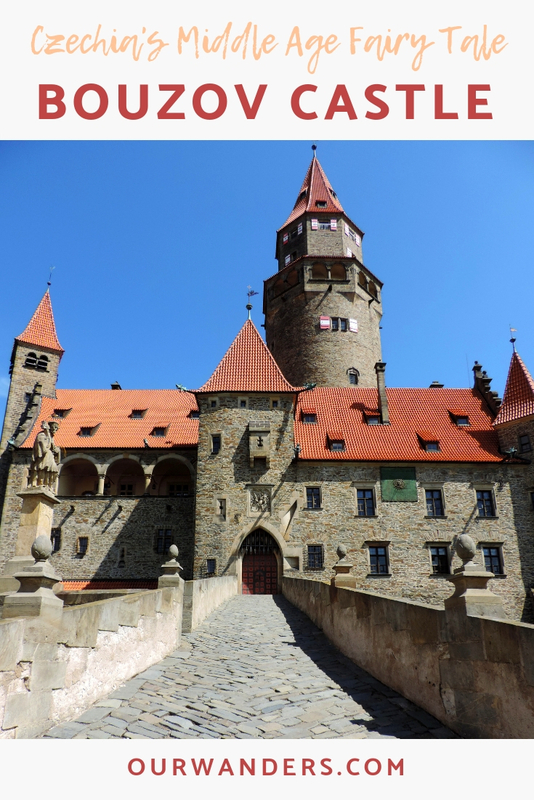 Unlike most of the castles that are called zámek in Czech, Bouzov is called hrad – meaning it’s rather a fortress than a castle. But unlike other medieval castles, Bouzov has never gone to ruin. In fact, it’s in a wonderful condition to take you back to the Middle Ages. 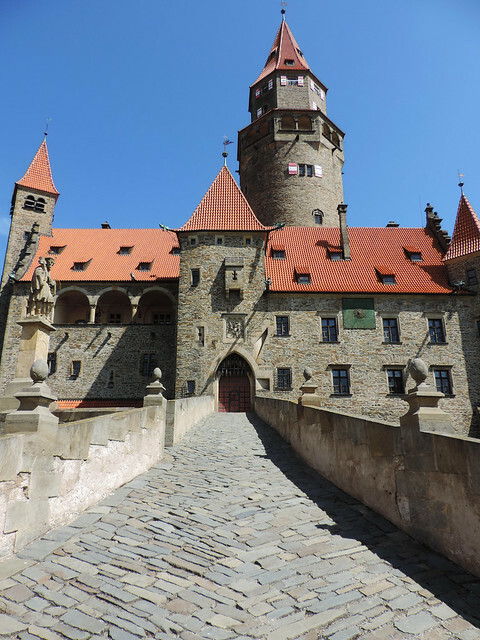 Originally built in early Gothic style in the 14th century, Bouzov Castle was the seat of the Order of the Teutonic Knights. And thanks to Archduke Eugene Habsburg, Grand Master of the order, there was an extensive reconstruction in the 19th century. He funded the works from his private resources and the result is the fabulous Neo-Gothic castle we see today. The buildings are grouped around a 58 metres high main watchtower, but countless other towers, bastions and battlements enhance our impression of this medieval dream helped the castle to fulfill its defensive role. We could access the entrance on two long bridges ending with a short drawbridge. And unlike most medieval castles, Bouzov is fully furnished and equipped. Again, thanks to Archduke Eugene Habsburg, because the furniture comes mainly from his private collections. There are several interior tours covering several routes and special tours are organized for children from time to time. Who doesn’t want to kill a dragon, right? We chose a general tour that covered the most significant parts of the castle. The knights’ hall, the old well and the Neo-Gothic chapel were incredible! But we found every room special – it was our first time walking around in a furnished medieval castle after all. 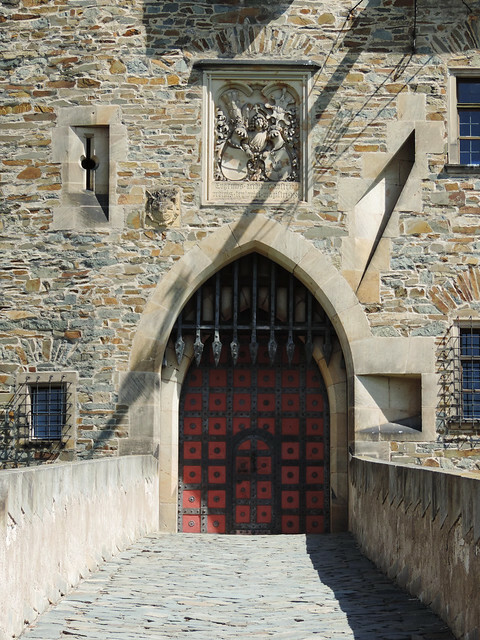 Anyone can access the courtyards of the castle during opening hours but the interior can only be visited on a guided tour. 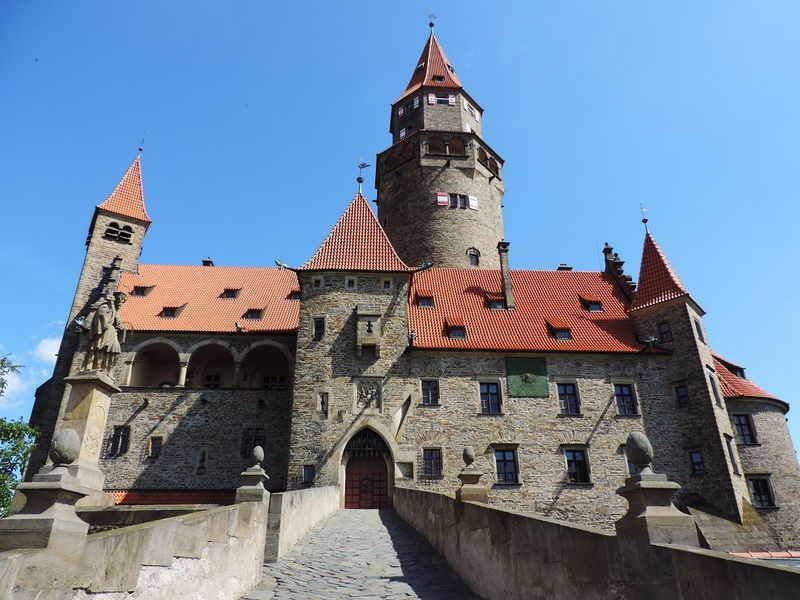 There are several tours to choose from – but they are all in Czech. Luckily, they had textbooks in English. 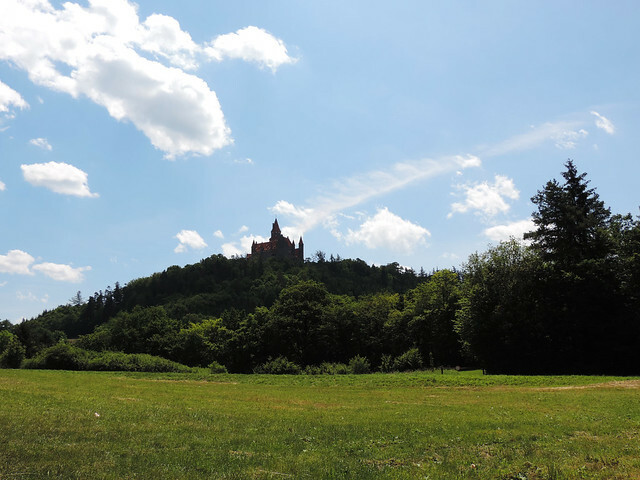 Bouzov Castle rising above the Moravian landscape is an impressive sight from any angle, but we definitely recommend to visit its interior, too. We haven’t ever seen a medieval castle that is in such a good condition and it was a unique experience to tour its majestic halls. 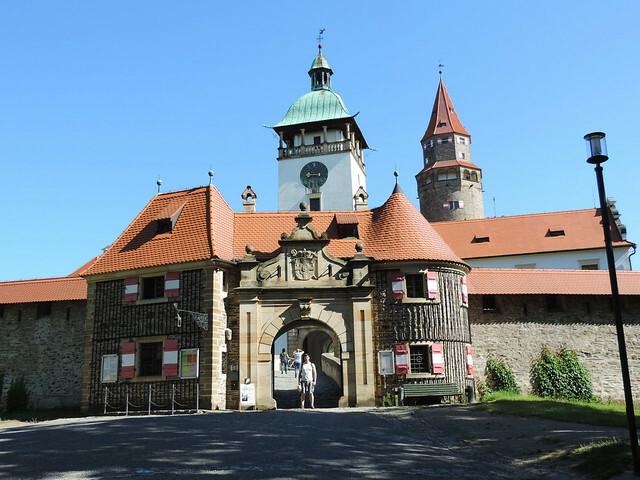 Check the official website of the castle for opening hours and prices (only in Czech)! Do you like castles? Have you ever been to a medieval castle that was not in ruins?